In this article I recommend you to consider a posture trainer because a poor posture causes back pain and makes you look old and fat. Maybe you already have a weight lifting tracker and do workouts to strengthen your back muscles. Moreover you also know some good posture exercises for the office. But most of the time you are sloughing and your spine is contorted in an unnatural position because you just simply forget to sit upright. And no matter what you try you still do not have a perfect posture? Now take a look at this awesome new technology that is able to track, train and even correct you posture. UPRIGHT call their device a “trainable” and in fact it is a real smart wearable that trains your posture. Wear your UPRIGHT between 5 minutes to an hour a day to fix your bad posture. UPRIGHT gives you immediate feedback because it detects automatically when you’re slouching. Once the smart wearable posture trainer detects your slouching it will vibrate until you sit upright again. How to wear the UPRIGHT? 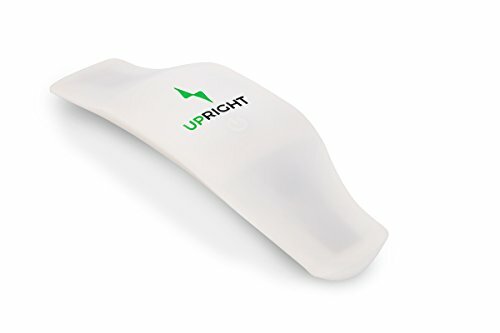 Wearing your UPRRIGHT posture trainer is easy. Just attach your UPRIGHT to your upper or lower back. Use therefore one of the hypoallergenic adhesives. The posture sensor can be worn comfortably under your clothes. So nobody will notice that you are wearing an electronic device. Because of its low weight (25 grams) you will barely notice it. 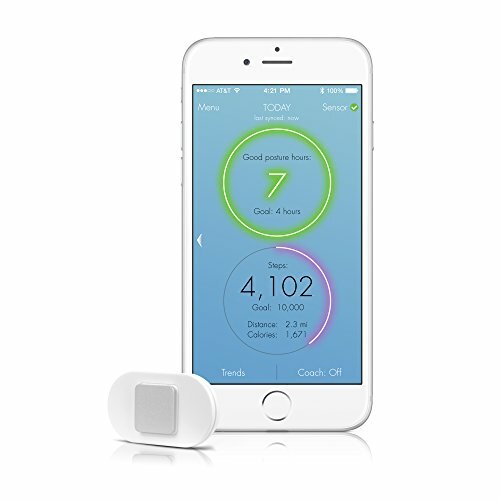 Inside the posture trainer has an accelerometer and a strain gauge to measure your posture. It automatically syncs via Bluetooth Low Energy with your iOS and Android smartphone. With its small rechargeable Li-ion batteries UPRIGHT will last more than 8 working hours. The only smart wearable posture trainer recommended by physicians and chiropractors with proven success to decrease back pain and increase productivity. Short term training, with long term results; by training with Upright only 15 - 60 minutes a day, you will have improved core strength & muscle memory to maintain a lifelong habit of good posture. The Lumo Lift is also a posture coach that helps you to improve your posture. It is the successor of the Lumo Back tracker. Attach the Lumo Lift and set your target posture. When you are slouching the Lumo Lift will detect your bad posture and will vibrate gently. Your progress will be tracked over time. Moreover the Lumo Lift is not only a posture coach but will also track your activity, your steps and the amount of calories you burn throughout the day. How to wear the Lumo Lift? Wear the Lumo posture trainer as a jewelry or hidden under your clothes. Attach the magnetic clasp to your shirt on your upper body near your collarbone and it will notice you when you are not sitting upright. With its 11.5 grams the Lumo Lift is even lighter than the UPRIGHT posture trainer and a single battery charge will last as long as 2-3 days. Data syncs wirelessly via Bluetooth to your iOS or Android device. To sum it up, similar to the UPRIGHT posture trainer, the Lumo Lift improves your posture, reduces stress and helps you to be more productive and healthy. Additionally, a good and healthy posture makes you feel more confident. Sit straighter, stand taller and look better with Lumo Lift, an all-in-one appearance booster and fitness tracker. Lift tracks your posture, steps, distance, and calories burned. Gentle vibrations remind you to straighten up when you slouch. Lift is lightweight and discreet: wear it as a fashion accessory or hide it under clothes. The iPosture is an innovative device developed by doctors to enhance your posture. The device continuously measures the angle of your upper back and vibrates when you are slouching. An alternative to the electronic devices above to correct your posture is the BetterBack posture belt. 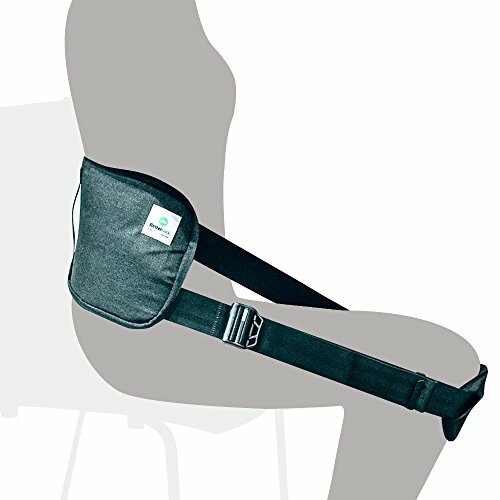 BetterBack was funded on Indiegogo and is one of the most selling back posture belts online. To use it just wrap the BetterBack belt around your back and slip into the knee pads. After that, pull on the straps to tighten them. It is a easy solution and it works with every chair. So you don’t need to spend hundreds of dollars on expensive chairs.